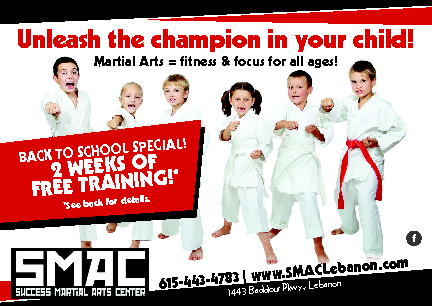 SMAC Success Martial Arts Center, Inc. Success Martial Arts Center, LLC. To achieve real change, you need a good example. Come and train with real Champions of Martial Arts. Looking for classes to get in shape. We can help. Birthday parties We can organize a birthday party at our studio. 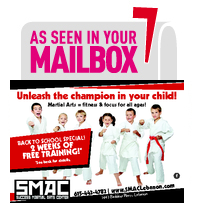 Adult and Child Martial Arts We cater to ages 4 and up with our Martial Arts classes. Fitness Classes Just looking to get in shape. We have classes to fit your needs. Private Training Available One on One training on your schedule. Training via Skype Not in our area, arrange for a class or classes via Skype. Training Camp programs Join us for a training camp. Find a Fit for You! *Fitness is a stand-alone class for those just wanting fitness. If you are taking the TKD class you must take fitness class prior to your class. ** Black belts are welcome to take the Hyper classes as part of the black belt program. You are required to purchase the proper attire and gear needed. Join us on your journey to Success! Visit us onsite to discuss how you can join our programs. Training IN Lebanon, TN, USA.